Rajinikanth’s ‘Kaala’ has been reportedly banned from release in Karnataka by Karnataka Film Chamber of Commerce (KFCC) over the actor’s Cauvery comment. 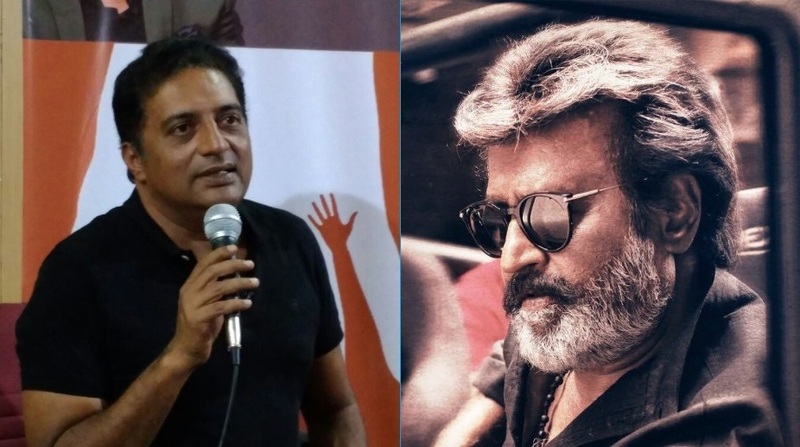 Actor Prakash Raj on Monday extended his support to Rajinikanth’s upcoming film ‘Kaala’, which is facing trouble in Karnataka over the Tamil superstar’s stand on the Cauvery water sharing dispute. The 53-year-old actor, who has worked in Tamil, Telugu, Kannada and Hindi cinema, said films or works of art should not become soft targets for people. Blaming both the state and central governments for keeping the Cauvery water sharing issue alive, he said that fringe elements take advantage of disputes. “A film or any work of art shouldn’t be a soft target for people. 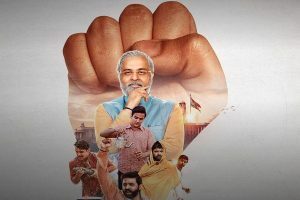 When you keep a problem alive, naturally fringe elements will try to take law into their hands, govt needs tell them that law and order is our responsibility, you can protest but can’t stop a film from releasing,” he was quoted as saying by ANI. Rajinikanth’s ‘Kaala’ has been reportedly banned from release in the state by the Karnataka Film Chamber of Commerce (KFCC) over the actor’s statement in which he said that the Karnataka government should implement Supreme Court order on water sharing between Tamil Nadu and Karnataka. But Prakash Raj said that the KFCC has not called for a ban on the film. “Karnataka Film Chamber has said that they have not asked for a ban but the distributors and exhibitors seeing the pressure have voluntarily decided to not create tension by not releasing ‘Kaala’,” said Prakash Raj, adding that it is now on the state and the central government to solve the problem. The actor had on Sunday evening expressed his views on the ‘Kaala’ controversy in a detailed Twitter post. “What’s film #kaala got to do with Kaveri issue..?why is film fraternity targeted always..? Will Jds/congress government let fringe elements take law into their hands …like bjp did with #Padmavat ..or ..will you step in to assure common man ..his right for choice.#justasking,” he wrote. In a statement that accompanied his comment on Twitter, Raj said that being an emotive issue, the Cauvery water crisis is expected to trigger strong sentiments in people from both Karnataka and Tamil Nadu. “But getting emotional does not solve an issue; we need to be practical about it too,” he said. The actor acknowledged that Rajinikanth’s statement has “hurt us deeply” but added that fringe elements are protesting against the film. “Is that what we Kannadigas want? We don’t know and we will never know. If the film is released and people decide not to see it as a mark of their protest only then will be able to gauge what people really want. But these fringe elements deciding on behalf of the people will not let us know it. Who are these people to decide what most Kannadigas want or don’t want?” he asked. Known for his hard-hitting statements, Raj slammed fringe elements and stood behind the producers and others associated with ‘Kaala’. “What about the producer’s investment, one who has nothing to do with the statement of this actor? What about the talent and effort of hundreds of technicians, co-artistes and workers who have been employed and associated with the film? What will be the plight of those who make a living out of sticking film posters, running cycle stands, those who run canteens in theatres? What about the distributors, investors and theatre owners and the thousands of those whose lives depend on them? And what about the lakhs and lakhs of cinema lovers because of whom, all these people earn a living?” he asked in a series of questions. Prakash Raj suggested that the two state governments and the Centre sit together with specialists to discuss the issue of farmers, water sharing and nature. “Due to political reasons and unseen pressures if they fail to do so, our fight should be towards making them accountable and answerable and not become victims of our own emotions,” he added. In a jibe at those who label him “anti-Hindu” for his remarks, the actor said by supporting ‘Kaala’ he risked getting branded as “anti-Kannadiga”. “However, that does not stop me from saying what I have to say and rest I leave to your conscience,” he concluded. Rajinikanth had on 20 May said it was Karnataka’s duty to obey the orders of the Supreme Court, which had on 3 May directed the state to release at least 2 tmcft of water to Tamil Nadu. In response, newly-elected Karnataka Chief Minister HD Kumaraswamy had invited the 67-year-old Tamil cine legend to visit Karnataka and see the condition of the dams. “If there is water in Karnataka it is possible for us to give them water. I request Rajinikanth, please come and see the situation in our dams, what has happened to our farmers. After seeing that, if you (Rajinikanth) still want water, let’s discuss,” Kumaraswamy said. ‘Kaala’ is scheduled for release on 7 June.